Taking a look at Lectio Divina – Called. Convicted. Converted. Perhaps you don’t know what Lectio Divinia is, and in a few moments you may be smelling the beginnings of a polemical argument over an abstract point of Theology, I encourage you not to stop reading, because even if you don’t grasp everything, you can still benefit from this article in a number of ways. If you do know what Lectio Divinia is, then I guess I need not give you a reason to keep reading, but hopefully what I write will add something to your own thoughts on it. Essentially ‘Lectio Divina’ is a technique for learning, meditating upon, and praying the Holy Scriptures. The contemplative aspect is most usually thought of as the goal of Lectio Divina. One writer helpfully defines ’Lectio Divina’ as “a slow, contemplative praying of the Scriptures which enables the Bible, the Word of God, to become a means of union with God”[i]. I don’t want to go into too much of the history of this practise, there are many fine resources for that. But let me just mention its origins, at least in Christianity. It was most likely Origin (185-232) who paved the way for Lectio Divina as he taught the idea of reading to discover a deeper meaning that lay beyond the literal sense of the biblical text. “He used the Greek phrase thea anagnosis to describe scriptural reading for the purpose of finding a hidden message from God”[ii]. This practise became a tradition in monasticism, where it was an important part of the daily routine. It seems that by the 5th century it was pretty well an institution in all monasteries. I first came across this as a young fundamentalist teen, but did not give it much thought at the time. I was not really interested in thinking through issues at the time, but rather embracing every heresy-hunting thing I came across as truth. Recently I was presented with the practise again, however from someone I deeply respect. Tim Keller, a pastor and author has been very helpful to me as a church planter and thinker; it was in his material that I read again of this mystic practise. What About the Man with the Mallet ? So having spent some time thinking, praying and reading what I can, it struck me; Martin Luther was a monk! Not only was Martin Luther a monk, but the reformers were all former Roman Catholics. Why had they not seen fit to preserve this practise in the Reformed tradition? So I did a bit of research. It seems that when Luther finally came to understand the gospel, as taught in the Scriptures it lead him to reject Lectio Divinia. One of the results of Luther’s “reformation discovery” was a new understanding of language. In his early years Luther handled the Scriptures in terms of Augustinian and Stoic theology, namely, that “language is a system of signs that refer to objects or situations or of signs that express an emotion. In either case the sign is – as a statement or as an expression – not the reality itself[iii]”. Luther’s theological breakthrough was his discovery that the word of God is the reality in itself. “That the linguistic sign is itself the reality, that it represents not an absent but a present reality, was Luther’s great hermeneutical discovery, his ‘Reformation Discovery’ in the strict sense”[iv]. It is clear that Luther’s fully developed understanding of Scripture would have conflicted with the basic premise of Lectio Divina. In Luther’s writings however there appears a reformation of the practise and a much need corrective. Luther seems to have suggested a method of Oratio, Meditatio, Tentatio as a corrective to Lectio Divina. 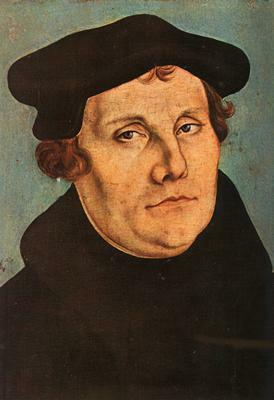 In contrast to the somewhat manipulative method of Lectio Divinia, Luther proposed an evangelical model of spirituality as reception rather than self-promotion. This involved three things: prayer (oratio), meditation (meditation), and temptation (tentatio). All three revolved around ongoing, faithful attention to God’s word”[v]. As I mentioned earlier, the ultimate goal of Lectio Divina is contemplation wherein one comes into an experiential encounter with God. Here one is enabled to transcend the text of scripture and achieve direct communion with the divine. The basic belief behind this is the idea that the Word is merely a sign. The Word is a mediator between God and man which, while certainly important and useful, is not the thing in itself. True, actual, communication with God cannot take place until one, by prayer and meditation, is finally by God’s grace, enabled to go beyond the text to establish mystical communion with God. It is for this reason that, in Lectio Divina the Word can only be the point of the departure which leads ultimately to the ultimate goal of true communion with God on a mystical level. Therefore if you want to be certain what God in heaven thinks of you, and whether He is gracious to you, you must not seclude yourself, retire into some nook, and brood about it or seek the answer in your works or in your contemplation—all this you must banish from your heart, and you must give ear solely to the words of this Christ; for everything is revealed in Him[vi]. One thing, and only one thing, is necessary for Christian life, righteousness, and freedom. That one thing is the most holy Word of God, the gospel of Christ, as Christ says, John 11[:25], “I am the resurrection and the life; he who believes in me, though he die, yet shall he live”; and John 8[:36][vii] . The order of oratio, meditatio, tentatio is important. Distinct from Lectio Divina which sees the Word as a means to an end, Luther’s list continually leads one back to God’s word. Oratio, meditatio, tentatio portrays the Christian walk as cyclic; beginning with prayer for the gift of the Holy Spirit, concentrating on the reception of the Holy Spirit through meditation on God’s word, and resulting in spiritual attack. This again draws a person back to further prayer and intensified meditation[viii]. For Luther, the Word of God was central. Prayer does not stand above the text as a more spiritual exercise removed from the Scriptures. Luther does not see the believer seeking for something beyond and above the text in prayer. Rather, true prayer (oratio) drives believers toward the Scriptures. In prayer the believer asks for understanding and faithfulness as he approaches God’s word. In addition, the very words of scripture form the language of prayer itself. But that is not the only issue Luther took with Lectio Divinia. He also totally redefines meditatio. Whilst in Lectio Divina meditation is focused on human memory and its ability to make the text personal through the recollection of past events, Luther’s understanding of meditation focuses on God’s word. For Luther, meditation is simply the continual study of scripture. God’s word is not just a sign that needs to be internalized in order to be heard properly, it is the very voice of God that comes with power both to kill and make alive. Finally, Luther replaces Lectio Divina’s contemplatio with tentatio. The goal is no longer subjective, experiential contemplation with God. Rather, in his addition of tentatio he refocuses our attention on the word as the goal. Tentatio (sufferings and temptation) is a form of spiritual attack which drives the believer away from the ‘internalized self’ to the external Word. Tentatio is not a goal. It is not the highest rung on a spiritual ladder to heaven. It is God’s way of turning self-seeking men back to the Scriptures and therefore back to Himself. I think the resurgence of Lectio Divinia definitely says something about a spirituality that is lacking in much of evangelicalism. There is a hungering for more of the experiential religion spoken of by the Puritans. However, in the final assessment, it may be that Lectio Divinia much like the tradition that formed it, is merely paying lip service to God’s Word preferring rather the ‘more spiritual’ goal of contemplation. I think it is unable to stand up to the full blown theology of Sola Scriptura put forth by the Reformers. Perhaps there is room for Luther’s oratio, meditatio, tentatio as a truly faithful substitution and corrective for the kind of spirituality being promoted in much of evangelicalism today. Yet all these seeming holy actions of devotion, which the wit and wisdom of man holds to be angelical sanctity, are nothing else but works of the flesh. 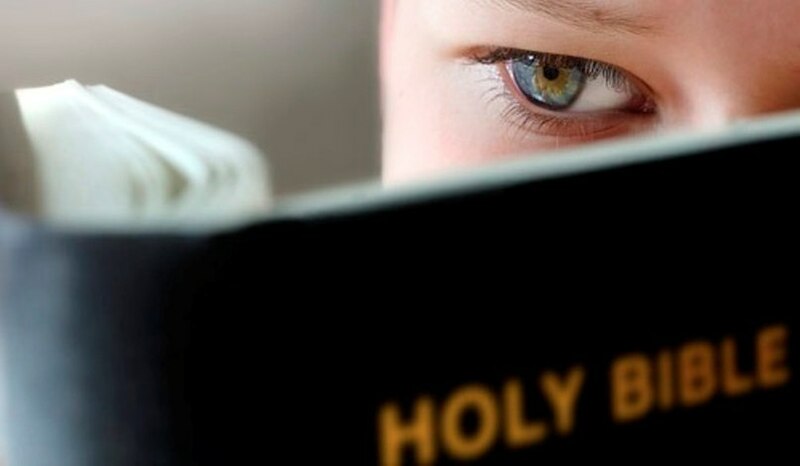 All manner of religion, where people serve God without his Word and command, is simply idolatry, and the more holy and spiritual such a religion seems, the more hurtful and venomous it is; for it leads people away from the faith of Christ, and makes them rely and depend upon their own strength, works, and righteousness[ix]. 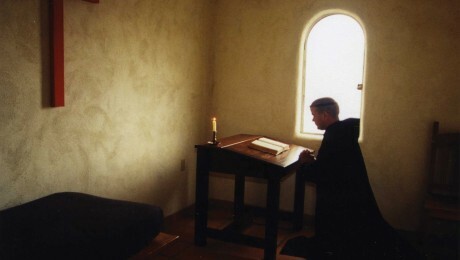 [i] Dysinger, Luke Fr., “Accepting The Embrace of God: The Ancient Art of Lectio Divina,” St. Andrew’s Abbey [website]; http://www.saintandrewsabbey.com/Lectio_Divina_s/35.htm ; Internet; accessed 14 July 2014. [ii] O’Hagan, John, “Lectio Divina,” Monastery of the Ascension [website]; http://www.idahomonks.org/sect810.htm; Internet; accessed 14 July 2014. [viii] Kleinig, John, “Oratio, Meditatio, Tentatio: What Makes a Theologian?” Concordia Theological Quarterly; Vol. 66:3 (July, 2002), 258. Love the quote at the end. Great article. Thanks Mark. Yeah its a sweet quote hey! – such a view which sees Lectio Divina as a particular exercise is totally foreign to the early monastic tradition, which was indistinguishable from that of the broader Church. Sorry about the rant, but I do find it problematic when understandings that should get challenged just get perpetuated. (Oh, and while I’m ranting and I know that I’m a pedant, Martin Luther was not a monk and I wish people would stop calling him one). Thanks for your comment Marcina. Indeed Luther was a friar who said that he lived like a monk, but monk and Mallet just go together better than friar and mallet. Regarding the Lectio Divinia, the origin is to some degree superfluous to the point, since the popular understanding of it is really the subject I am looking at;hence the rather brief section on its origins. Thanks for pointing out that the modern idea is rather far removed. I will have to revisit my sources. I’ll take a look at the link, seems intriguing.